Advertisement is the vital pillar of marketing. I always believed that ads sell a great deal more than the products. Ads reflect the values, generate the needs and highlight the concepts of success. I always admired the creativity behind the different exciting ads and somewhere at my heart even wanted to be part of the advertisement world. So I was on cloud nine when I got opportunity to intern at “Money4Drive Advertising Private Limited”, a startup in advertising field. 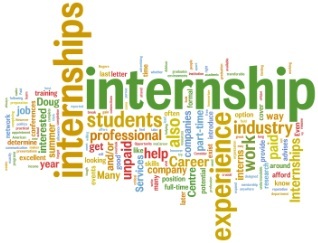 Generally for internship one expects a big company, a big brand, heavy stipend, a defined work and a well formed team but let’s view it from other angle. How about an internship in a startup? How about an internship where you need to develop whole business from scratch? An internship where you need to set up the company in a new city? An internship where even you need to select and recruit your team members? An internship which allows you to work on all details and aspects of a business and even strategize it in your own way. Seems exciting right? These were the objectives of my project “Business development of Money4Drive at Hyderabad”. Money4Drive is a two year old “Transit Advertising Company” based out of Indore. Transit advertisement is advertising through vehicles and has become popular due to low cost and more customer reach. As an expansion plan of the company, my responsibility was to setup and develop the business in a new city which was challenging but equally stimulating. – To find out the legal requirements pertaining to transit advertising. – To finalize the vehicle rate and establish a business relations with vehicles owners and Union leaders (Auto, Buses, MMTS, Cabs) for advertisement. – To recruit and select execution team. – Identify the potential clients from various sectors – hospitality, education, retail, banking, medical, automobile, financial services etc. Result: The informations collected were useful in preparing SWOT and road map for the company. Challenge: The 2nd phase was most challenging as it required several revisit and continuous follow up with all the stakeholders to streamline the business processes. Different approach was required for different stakeholders. It was really tough to gather the legal requirements from municipal offices and collaborate with auto union leaders. The municipal corporation and RTO websites did not have much information regarding legal requirements for transit advertisement and getting appointment with the concerned officials was a tough task. I had to rework several times on our incentive model to convince the vendors for vehicle. Also I identified and recruited 3 resources to work for part time during the execution process. The team included an auto driver, a pizza delivery boy and an engineering student who was in 3rd year and was looking out for a part time job. Result: The information collected in 2nd phase was helpful in streamlining the business process and preparing the business proposal and presentation for sales pitch to client. Also I was successful in identifying and selecting an execution team as per the business requirements. With the information collected in first two phases, business proposal was drafted with Money4Drive rates for transit advertisement and approximate number of vehicles. Also the areas with potential customers were identified in Hyderabad and clients were approached. Result: The third phase was successful as I generated 4 leads including a client with national presence. Final phase of the project was to execute the orders received from the clients during the phase III. A tight co-ordination is required across the teams to perform the hassle-free execution. Phase III and IV were carried out parallel. – Monitoring the execution by getting the posters and banners pasted on the vehicle by execution team. Result: A transit advertisement order of a beverage was executed successfully on 500 autos for a beverage company with national presence. The order was raised from Indore team and I was responsible for monitoring and execution at Hyderabad. To summarize, I was able to provide a successful launch pad to Money4Drive in a new city. I collaborated with other players to diversify the business to other advertisement mediums. The recommendations were to include the process like taking regular feedback from clients after execution to enhance the client’s confidence and build long term relationship, and increasing the digital marketing for more visibility. Also I identified few suitable areas for opening the office in Hyderabad which was needed to build client trust. There used to be 2-3 Skype calls in a week where I used to share the project status and clarify the doubts. My mentors were owners of the company and we used to communicate through Watsapp and Skype during the internship. During the two months of the internship, I interacted with several clients, vendors, government officials and Money4drive team members which helped me in understanding the nuances of advertisement and marketing field. Note: I have not mentioned the clients name, advertisement rates, commission and few other details as these are quite confidential.